The blank is carefully selected. It must be in very good condition, which means it must not have obvious splits, cracks or any weaknesses. A damaged blank could shatter when it is revolving at high speed on a lathe. Diagonal lines are drawn on the surface of the blank, in order to find its centre. 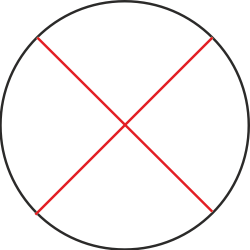 A circle is drawn, with its centre the crossing diagonal lines. A bandsaw is then used to remove the waste material and the circular blank is ready for the lathe.